Me and my boyfriend popped down to a little town called Bungay in Suffolk last weekend to visit his dad and to pay a much needed visit to the coast for bit of fresh sea air. Bungay is a small-ish market town towards the north of Suffolk, which also means it’s very close to the border of Norfolk – in fact, parts of the town are actually on the side of Norfolk, which explains why my boyfriend is always a bit confused about where he is actually from! Because it was such a beautiful day, we decided to drive to the seaside town of Southwold to have a little walk and lunch by the beach. 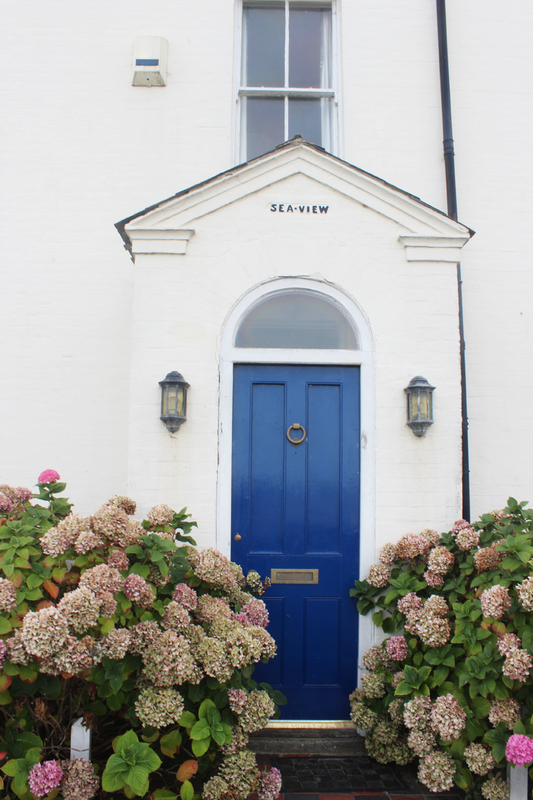 Most of the pictures from this post are actually from there because a) I just can’t resist snapping anything related to the sea & beach and b) because the weather was a lot better than it was the next day when I had a proper chance to see Bungay – sigh! I hope you enjoy looking through these, and who knows, maybe you might get a bit inspired to go down to the seaside yourself! I think we might still have a few weekends left of this Summer/Autumn hybrid weather we’ve been having lately before the chill finally sets in! Although now that I think about it, it does sound pretty amazing – who needs a house anyway?! According to this little wall George Orwell spent quite a lot of time growing up in Southwold. They had made him a little wall full of quotes to remember him by, and this one was my favourite. This last picture is the only good one I have from Bungay, but I think it makes up for the lack of the rest. Like I mentioned earlier, we weren’t so lucky with the weather the next morning as we woke up to grey skies and drizzle. Stubbornly, we still went for a walk around town because I really wanted to see it properly before we had to leave back to London. When we had been walking around for about half an hour, the sun started making a surprise appearance, and suddenly, as we were standing on this bridge, looking at the river and the fields, we found ourselves with glorious blue skies and sunshine. It just goes to show you should never fully believe the weather forecast, and always have faith that the sun might actually come out! Except, of course, when you’re using the rain as an excuse to have a duvet day and watch tons of movies, then it’s okay to hope it stays hidden.. But don’t tell anyone I said so! Has anyone else ever visited Suffolk? Did you love the beach huts as much as I did? !